To start 2017 with a bang, the Sage Gateshead is running a day of concerts on Saturday 28th January that feature emerging talents from a number of genres, inviting audiences to hear the future of music. Representing jazz is the renowned pianist Elliot Galvin. He performs with his trio at 5pm. 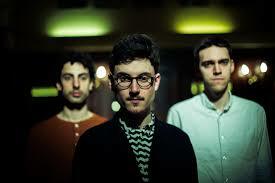 European Young Jazz Artist of the Year Award 2014 Elliot Galvin’s star continues to ascend. A superbly gifted composer and pianist, his disparate world of influences has seen him compared to Django Bates. From de-constructing standards to creating his own mirco-tonal melodica, Galvin’s music is both playful and deadly serious drawing on a wide range of influences from Keith Jarrett to Stravinsky, Ligetti, Deerhof and the Beatles as well as the films of David Lynch, the Dada movement and the literature of James Joyce. Also performing on Saturday afternoon are winners of the 2015 BBC Radio Young Folk Award Talisk, portuguese clarinettist Horacio Ferreira, Sky Arts award winning sitarist Jasdeep Singh Degun and more. Tickets to see all artists in the afternoon session, running 12 until 6, cost £21.50.